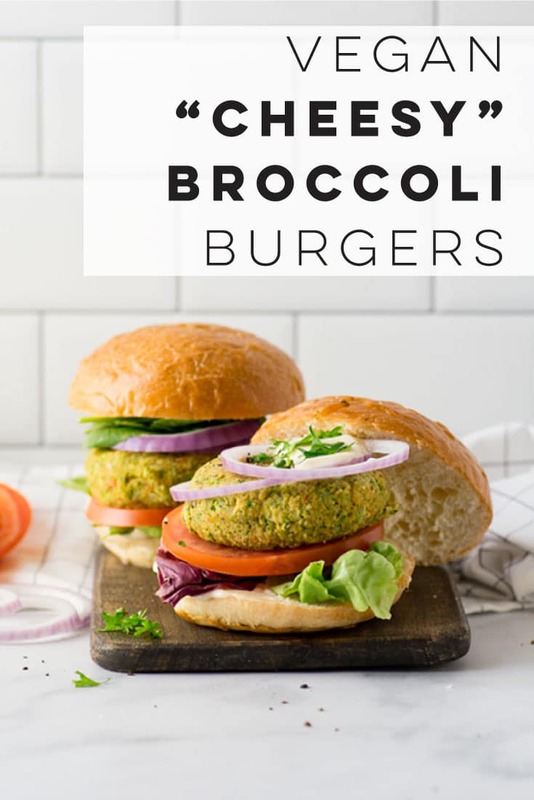 Broccoli and “cheese” vegan burgers are loaded with flavor and nutritious ingredients. Better yet, the ingredient list is short and they can be put together just shy of 30 minutes. Pair with a side salad or fries for the best vegan comfort meal! This post is sponsored by Bob’s Red Mill. All opinions are 100% my own! Can I get a Hip Hip Hooray for veggie burgers? Since becoming vegetarian, I’m always on a quest for a good veggie burger. Of course, they don’t actually taste like a beef burger, but with all the fixings and sandwiched on a toasted bun, they are pretty delicious! 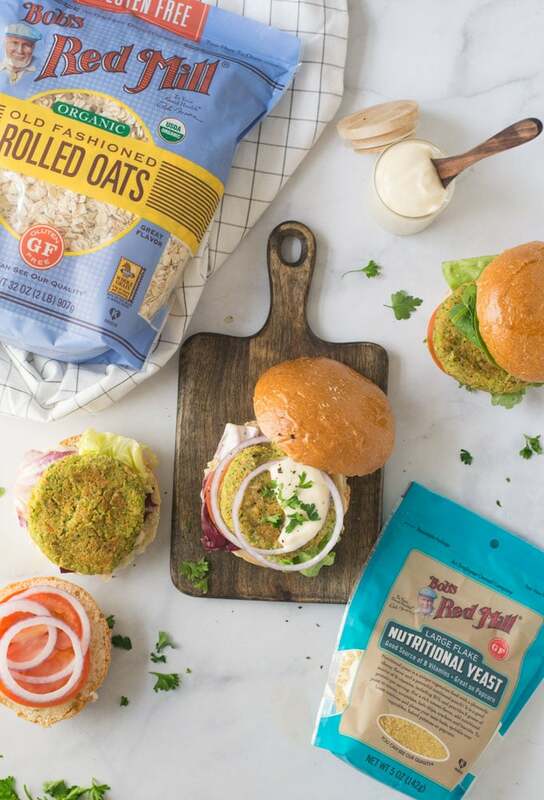 And these broccoli and cheese vegan burgers are no exception. 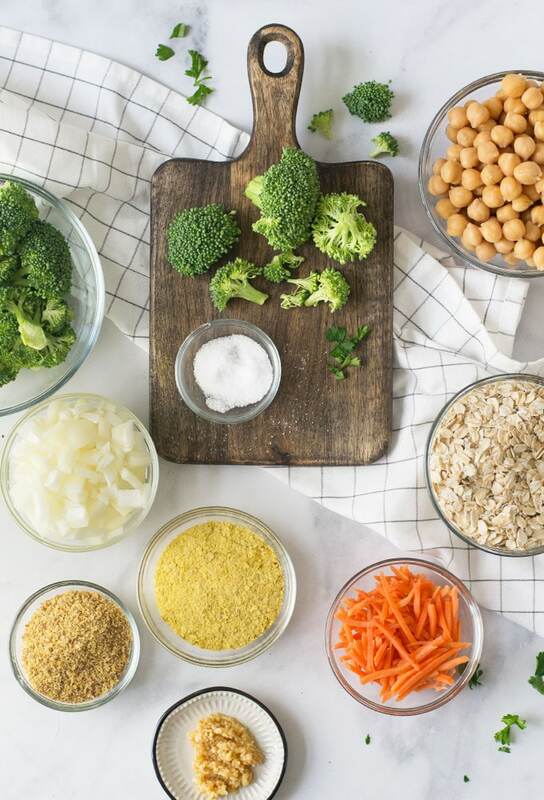 Nutritional yeast – for that cheesy flavor! 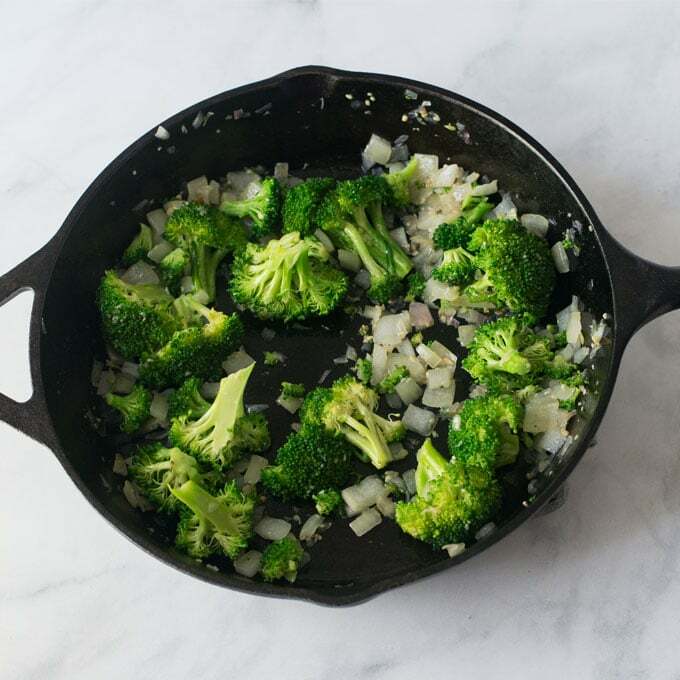 Start by sauteeing the broccoli, onions, and garlic. Trust me, this is a far more flavorful approach then using raw broccoli and onions to form a vegan patty. Place oats to a food processor and blend until a fine flour-like texture. Add remaining ingredients and pulse until desired consistency is reached. Yup, it’s really that simple! From there, you can form patties and either cook them in a pan or bake them. Baking them is a healthier alternative since you are using less oil, but cooking them on a pan will yield a slightly crispier exterior. Choose which method works for you. If have time, place the vegan burger mixture in the fridge before forming into patties. It’s easier to work with if the mixture is chilled. If the mixture is too wet, add more dry ingredients such as oat flour or nutritional yeast. 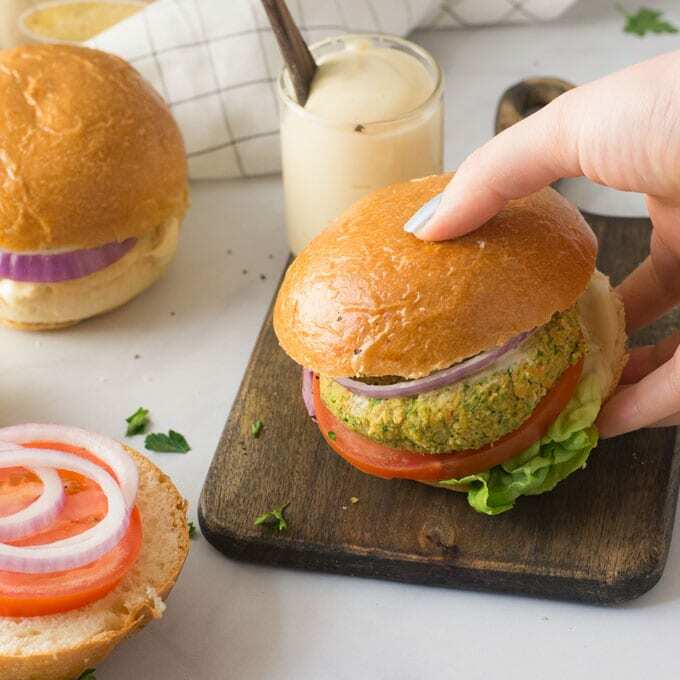 Let’s talk about what makes this vegan burger cheesy – nutritional yeast! I know, the name is weird, but what the heck is it anyway? Well, it’s an inactive yeast (meaning it’s not like the yeast you use in baking) but it’s a natural product that holds a nutty and cheesy flavor. 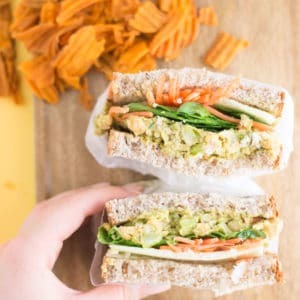 Cheese often being an ingredient people miss on a plant-based diet, it’s no wonder vegans go crazy for nutritional yeast! Vegan burgers are a meal prepper’s dream! You can form these patties and cook them when you are ready to eat. They also freeze great so you can have a healthy meal handy at all times. Use a lettuce wrap instead of a bun: Love this option for my low-carb and gluten-free friends out there! 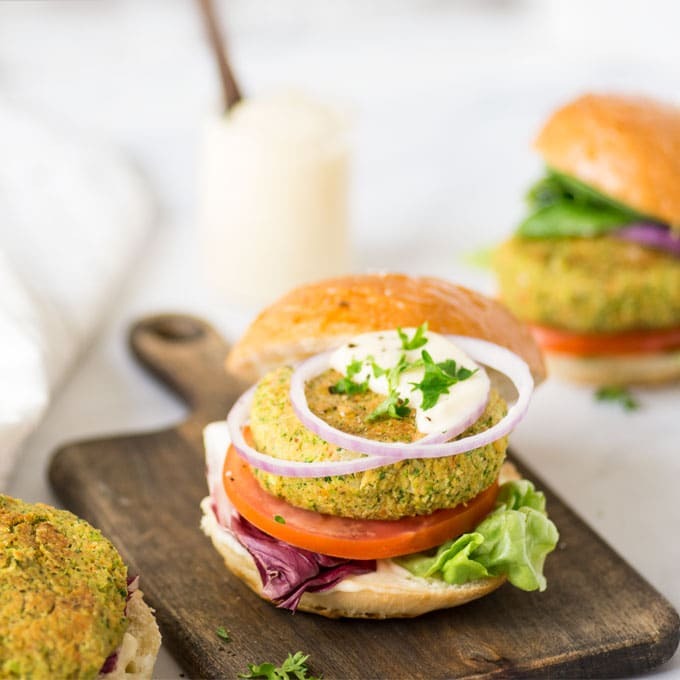 If you tried this broccoli and cheese vegan burger recipe, let me know in the comments below and share a photo using #mindfulavocado. I’d love to hear from you! Want to see more recipes? Let’s get social! CONNECT WITH ME on Facebook, Twitter, Instagram, or Pinterest to see what I’m currently cooking up! 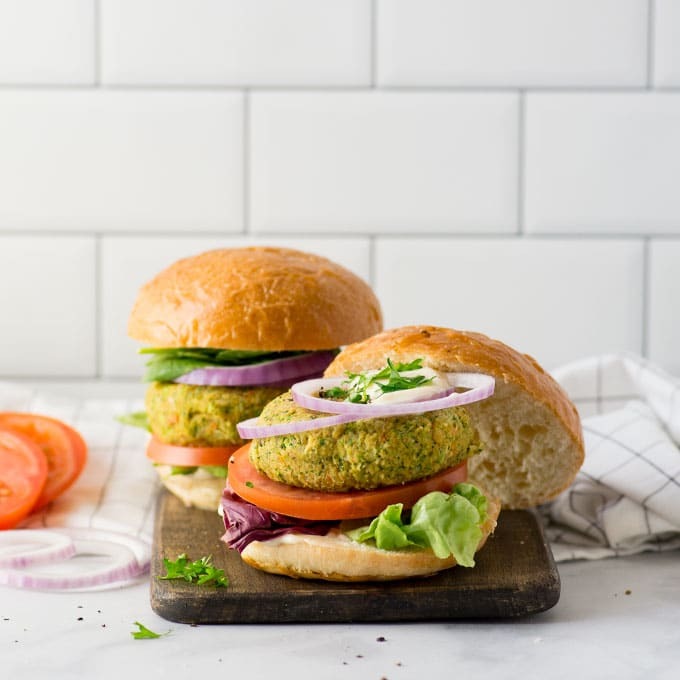 These vegan burgers are loaded with flavor and nutritious ingredients. Better yet, the ingredient list is short and they can be put together just shy of 30 minutes. Make flax egg: Mix ground flaxseed and water. Set aside. Place pan on medium heat. Once hot, add olive oil and allow to evenly coat the pan. Add onions and cook until translucent, mixing frequently. Add broccoli and cook for 3-5 minutes. Season with salt. Add garlic and saute for 30 seconds. Remove from heat. In a food processor, blend oats until you have a coarse flour consistency. 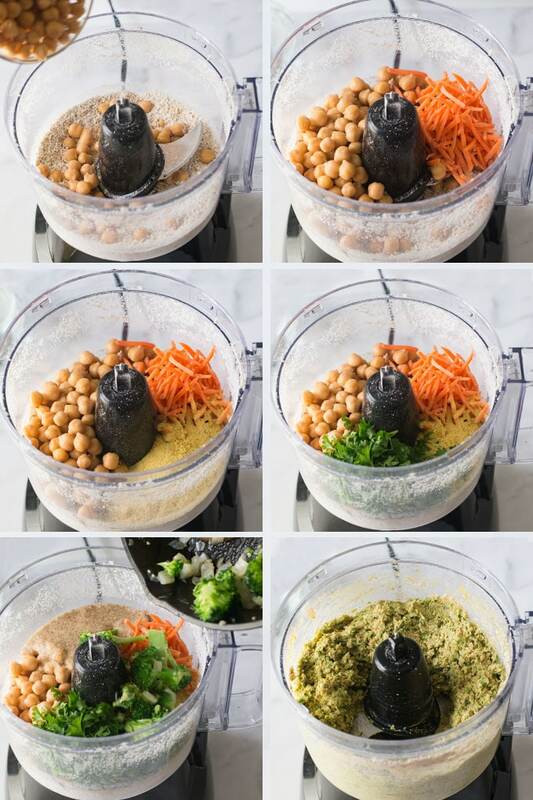 Add carrots, chickpeas, nutritional yeast, parsley, flax eggs, and broccoli mixture. Pulse until desired consistency is reached. Add salt and pepper and adjust seasonings as needed. If the mixture is too wet, add more dry ingredients like ground oats or nutritional yeast. If the mixture is too dry, add more wet ingredients like an additional flax egg. Place mixture in the fridge to chill for 30 minutes (optional). Using the same pan from the broccoli, place on stove on medium heat. Spray the pan with non-stick cooking spray or a small amount of oil and cook patties for 3-4 minutes on each side. They should be a nice golden-brown color. 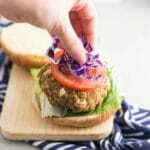 Serve on hamburger buns with lettuce, tomato, red onion, and vegan mayonnaise. To bake: Preheat the oven to 375 degrees Fahrenheit. Add patties to a parchment paper-lined baking sheet and bake for 20 minutes. I keep seeing nutritional yeast and wondered about the taste so thanks for the explanation. Love a good veggie burger and plenty of flavour in these! Thanks, Amanda! Nutritional yeast can be one of those “scary ingredients” but it really does taste great! I bet these beautiful and neat looking burgers taste unbelievable. All these healthy ingredients are incredilby nice and I love the addition of ground flax. I must give this a try as soon as possible. I love this list of ingredients! I happen to have everything in the pantry. Can’t wait to try these! Thanks, Beth! Love to hear how it turns out for you! I am so intrigued by this combination, not one I would have thought of but sounds like it could make for a great veggie burger. These sound SO good! And healthy! 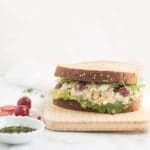 I just put nutritional yeast on my grocery order and will try this recipe out! Thanks for sharing!